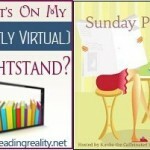 Review: Ivory Ghosts by Caitlin O’Connell + Giveaway – Escape Reality, Read Fiction! This story is about charismatic megafauna, our use, misuse and abuse of and by them, and murder. I’m in love with the phrase charismatic megafauna, because it so fits. The author is talking about elephants in this particular story, but I’ve also lived in proximity to a one of the other animals in this group. Bald eagles are everywhere in Alaska, including Anchorage, and in their native habitat they are a messy and opportunistic species. They do an excellent job of keeping the pigeon and Canada Goose population way down in Anchorage – and they also occasionally carry off a small poodle. So while I have no familiarity with elephants except in zoos, I have a tiny idea of the differences between the ways that people who have to live with one of these species and people who are merely enraptured by their press coverage diverge. But no one hunts eagles for their tusks. Elephants are beautiful and majestic. They can also be destructive. But the ivory in their tusks can be worth a fortune. And that’s where the story in Ivory Ghosts begins. Catherine Sohon is a pilot. She is also utterly fascinated with elephants, both in spite of and because of her experiences as an elephant census pilot working in Kruger National Park in South Africa. After her fiancé’s tragic death at the paws of a water buffalo, Catherine can’t bring herself to leave Africa. But she desperately feels a need to leave Kruger, and she needs to do something, both with herself and for a living. She takes a job in the Bwabwata National Park in Namibia, working for a slightly mysterious wildlife protection agency. 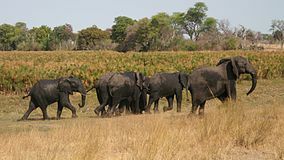 Her ostensible job is to fly an elephant census in the protected areas, but her real job is to find out who is poaching ivory in and smuggling ivory through the contested Caprivi region. Catherine trips over a jeep full of dead humans and ivory tusks on her first night in the Park. It never gets any less bloody from there. Catherine finds herself caught in a web of contradictions. She wants to protect the elephants from the humans, but sometimes finds herself in a position of protecting the humans from the elephants. 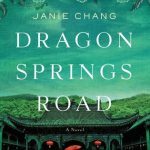 She is told that she can trust the environmental officials on scene, but she is keeping a huge secret from them, and vice versa. The man she thinks is the most hostile turns out to be the most trustworthy, in spite of his initial boorishness and her agency’s mistaken belief that he may be in on the smuggling. The person she most trusts turns out to be an irredeemable villain. Even worse, a villain who seems to have government officials in his pocket. She’s told that the problem is local. She eventually discovers that the rot stretches all the way from the local government to organized crime triads in Hong Kong. 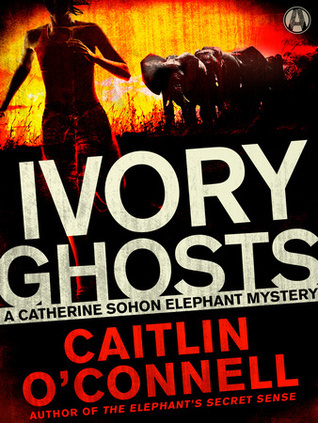 In Ivory Ghosts, Catherine travels into her own personal Heart of Darkness. While her personal ghosts finally get expiated, she comes all too close to becoming a ghost herself. Escape Rating B: While I enjoyed Ivory Ghosts, it had the feeling of a “dropped into the middle” kind of story. Some of that is literal. Catherine is dealing with her own ghosts by trying to suppress them, so we know that she is running from something without having the details on exactly what she is running from. 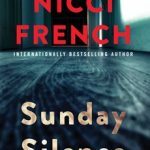 It takes a while for Catherine to reveal her feelings about what happened to her fiancé, and her own feelings of guilt as well as loss. Finding the jeep full of bodies is also a literal “dropping in”. There’s bad stuff going on, it’s been going on, and she trips over it the first night. Catherine has been living in Africa, and working in African game parks and preserves for a few years. She is familiar, at least from an outsider’s perspective, with some of the culture and the way that life works. Readers may not be, and a bit more exposition about the government culture, bureaucracy and corruption would have been helpful. Likewise, a bit more explanation of who the native leaders are and what their titles/positions represent would have made some things a bit less opaque. Your mileage may vary. There’s a difference in narrative between a point-of-view character who is as lost as the reader and a POV character who knows it so well that he or she isn’t saying enough. I felt like Catherine was a bit of the latter. I never did get a handle on Craig, Catherine’s boss at the mysterious WIA. Who are they and what do they do? What do they claim to do? I found myself wondering, fairly often, if Craig and the WIA were the good guys or the bad guys. 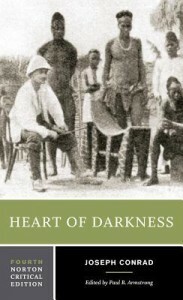 In the early stage of the book, and of Catherine’s relationship with the local agent Jon Baggs, Jon refers to Catherine’s Karen Blixen complex and wants her to get it out of her system and go back where she came from. 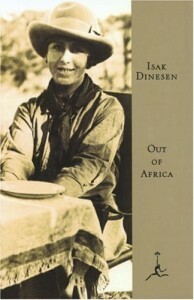 Catherine is not reenacting Blixen/Dinesen’s Out of Africa experience, and doesn’t intend to, but there is certainly that feeling that Catherine, like Blixen, has fallen in love with Africa and is looking for any excuse to stay, whether she wants to save the place (an impossible but common notion) or not. In the end, Catherine uncovers one deadly conspiracy, but it is clear that she has just touched the surface of the ivory trade. There are murky depths yet to be explored. I’m glad that Catherine is planning to stick around and explore them. I hope we’ll see more of her story. I love that the story references Isak Dinisen’s work – I love her writing and her personal story.